We are proud to be the leading company in paper hand towels and toilet tissue paper on Curaçao and Bonaire. Depending on your preference we provide various types of dispensers, for sale or on a contract. The choice for a certain type of dispenser is based on the type of use, the size, shape and look or the place where the dispenser will be located. You can choose from a wide range of colors, materials and styles to complement any washroom. With twice the capacity of typical electronic towel dispensers, the Alliance® dispenser offers the highest capacity in the industry. The Alliance dispenser’s revolutionary design accommodates two full rolls of towels – up to 1,000′ each – with no need to move stub rolls. 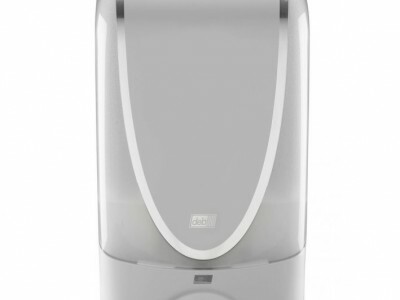 Combined with EcoSoft® towelling, Alliance® offers a new unique hand-drying experience superior to other systems in the market. 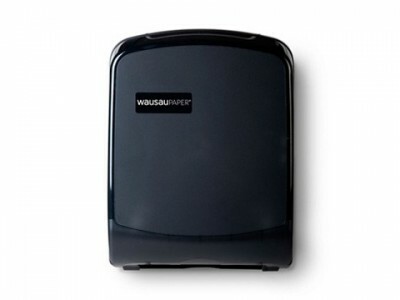 The hands-free roll towel dispenser features durable plastic construction for years of commercial use. The OptiServ® dispenser contains between 25% -30% recycled materials. It is available in five translucent color choices and will nicely complement our Revolution® and Dubl-Serv® tissue dispensers available in matching colors. 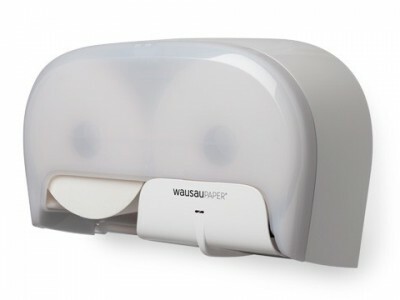 Bay West Silhouette® dispensers offer choices of controlled-use and universal dispensers which provide an elegant coordinated washroom appearance. Sturdy plastic construction makes them durable as well as attractive to withstand years of commercial use. Silhouette® dispensers feature modern, translucent styling which allows service staff to see at-a-glance when it's time to refill. The Revolution® high-capacity dispensing system is designed to minimize maintenance and maximize cost savings for high-traffic areas. 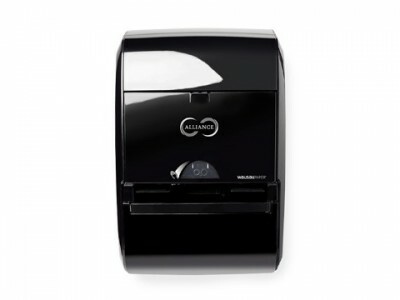 With its revolving design the Revolution® ensures that a roll is completely depleted before the dispenser will advance to the next roll, eliminating waste. Capacity for three full rolls of tissue allows for longer periods between maintenance. The Revolution® dispenser accommodates DublSoft®, DublNature® and EcoSoft® patented OptiCore® bath tissue. The Revolution® features a locking cover to prevent product pilferage and is available in five color choices. The Dubl-Serv® HC dispensers' two-roll capacity ensures a constant supply of toilet tissue, making them ideal for high-end installations. The Dubl-Serv® HC dispenser protects the reserve roll while the other roll is in use and provides a high-quality alternative to coreless and mini jumbo tissue dispensers. 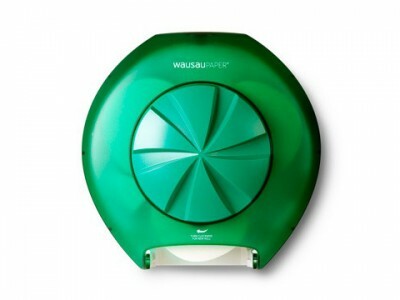 Designed to minimize waste and lower maintenance cost in the busiest washrooms. Mar Plast® is one of the most important brands in the washroom market offering a complete range of products for use in public areas where functionality and comfort are key. Its designs originate from Italian designers and engineers and the products are made of only top-quality raw materials, in compliance with hygienic and safety regulations. 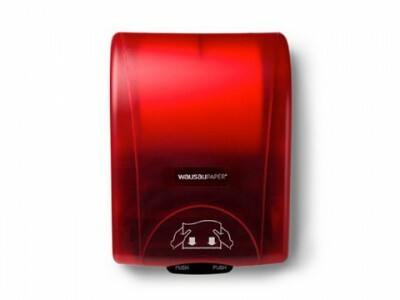 The dispensers are available in 3 different colors which match with Mar Plast® hand soap dispensers. 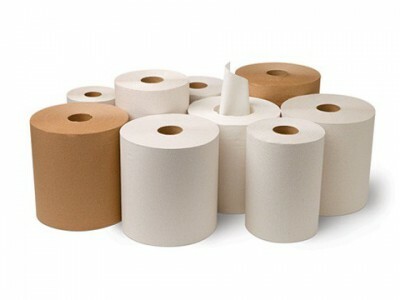 We provide an extensive range of refills for the various dispenser systems of which Ecosoft® is our leading brand line. Whether you are looking for any type of hand towel or toilet tissue paper the Ecosoft® line includes a high quality alternative. Bay West is exclusive distributor of Ecosoft® and DublNature® products. On a daily bases there are many moments of human interaction. Your organisation, whether it is health care, hospitality or a regular office, should be aware of the importance of sufficient personal hygiene and sanitation. Our range includes hand soap and hand sanitizer in various appearances, such as bars, lotion, gel and foam. We always advice dispenser refill systems for better results and cost effectiveness in a professional environment. Depending on your preference you can choose from various types of dispensers, for sale or on a contract. 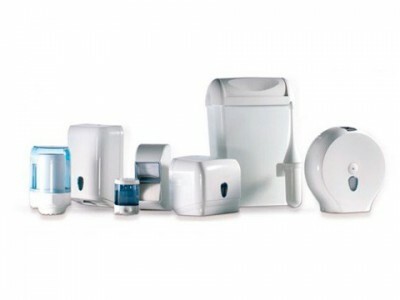 You can even match the color with toilet tissue and hand towel dispensers within the same range. 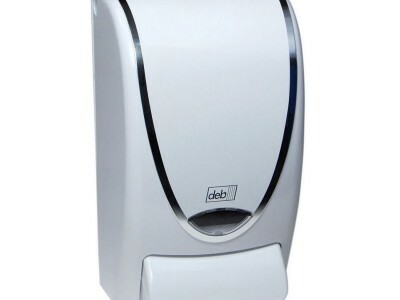 Deb TFII is a next generation touch free power efficient hand hygiene dispensing system with a compact design, for use with Deb foaming hand hygiene products in 1000 ml cartridges. The touch free line includes 2 color varieties, black & chrome and white. The Proline Curve is a universal dispenser for all Deb Stoko 1000 ml refill products. The dispensers are available in the standard colors black and white.